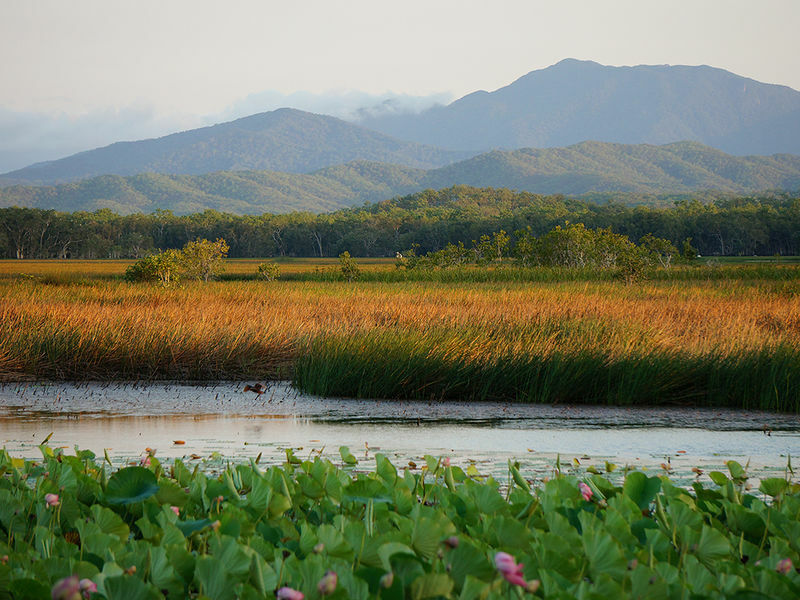 Kings Plains is a spectacular 68,000 hectare former cattle property around fifty kilometers southwest of Cooktown. The property was bought in 2013 in order to protect its unique ecosystems from a range of weed and other threats that have arisen as a consequence of past overgrazing. Kings Plains lies at the intersection of three bioregions: the Wet Tropics, Einasleigh Uplands and Cape York bioregions and provides a major link between the Wet Tropics and Cape York bioregions. The property features an incredible diversity of woodland and rainforest ecosystems, many of which are of significant conservation concern and which are poorly represented in the public reserve system. In particular, the semi-deciduous mesophyll vine forest along the Normanby River has been reported as one of the most diverse and conservation important rainforest areas on Cape York. Not only is it a key corridor for species that make north-south migrations along the Cape, but it has particularly high densities of both Indo-Malaysian and Gondwanan rainforest flora. Kings Plains also has a remarkable diversity of geological and geomorphological features. These include an outstanding example of river capture with Kings Plains Lake and the Plains below marking the ancestral bed of the Annan River, when it was a west flowing tributary of the Normanby. Geological tilting and warping of the landscape resulted in the upper reaches of the Annan being captured by an east flowing stream, leaving behind a unique stranded system of lakes, swamps and river channels. Other outstanding geological features include little explored massive granite boulder fields in the northwest of the property. These support significant areas of rainforest and are expected to provide habitat for a range of endangered animals. Kings Plains also includes the remains of two fossilized coral atolls from around 375 million years ago. These two limestone areas contain the most northerly caves on Cape York and provide critical habitat for a wide range of bat species, including five endangered or threatened species. The caves support at least one large maternity colony of the iconic Ghost Bat as well as several roosting caves for the Australian Swiftlet, the only Australian bird that can fly in total darkness with the aid of bat like echolocation. The limestone areas also support a unique assemblage of rainforest plants. 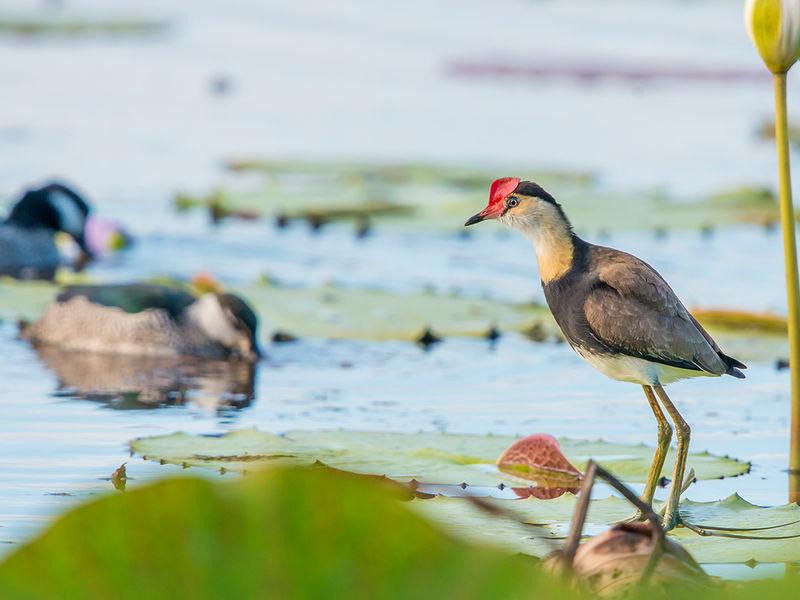 The most striking visual feature of the property is Kings Plains Lake, a very large permanent wetland which has a complex mosaic of open water, spectacular large areas of lotus lilies, giant water lilies and very extensive reed beds. The Plains downstream of the Lake are often covered by hundreds of Brolgas accompanied by a panoply of other birds including Red-tailed Black Cockatoos, Jabirus and Bustards. The creek lines in the south east of the property have quite large areas of gallery rainforest which supports a population of Bennett's Tree Kangaroo.